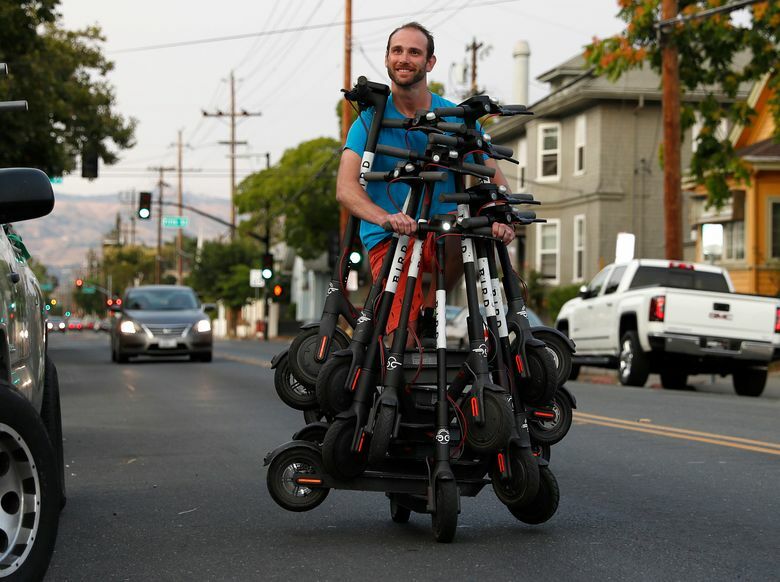 You took my comment about sledge-hammering dockless e-Scooters wherever I found 'em seriously, didn'cha? Th-a-a-at's it... just leave it anywhere. And although they are supposed to be operated in the street, doesn't this look like an accident waiting to happen? I'll just put it on the handlebars. Take for example Elon Musk and all the stones people throw at him.